Cut, pit, and scoop out an avocado in seconds. Nonstick Japanese stainless steel serrated blade has two pitting teeth and a scooping tip. 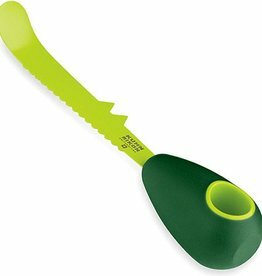 Flexible, serrated blade easily cuts through avocado skins.